Add a touch of colour with Speedy Rimfire. Add a touch of colour with Speedy Rimfire. 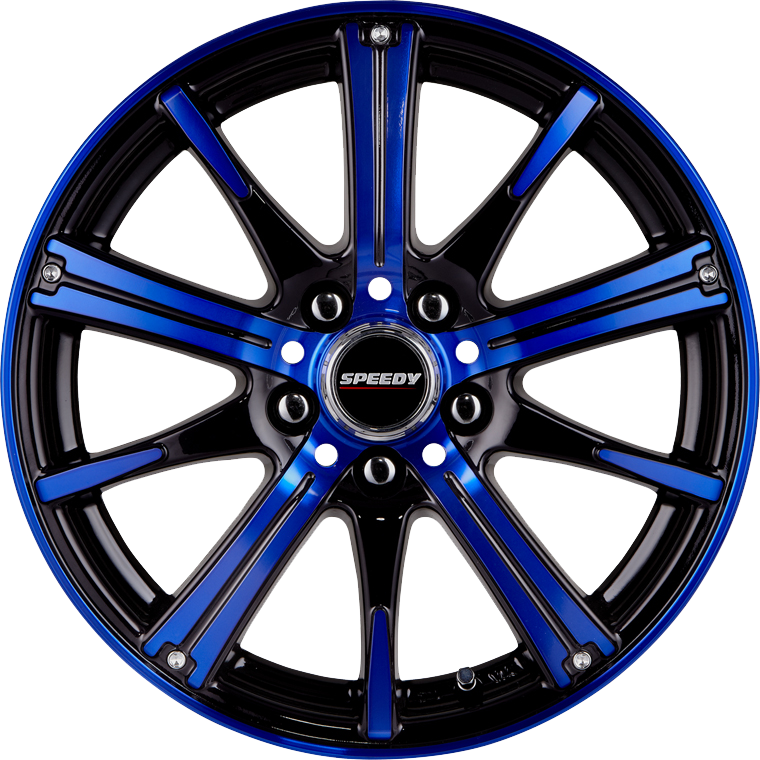 Available in eye catching colour combinations of Gloss Black/Electric Blue, Gloss Black/Candy Apple Red or the more performance oriented Satin Black finish. Rimfire is an excellent choice to transform the look of many small to medium FWD model vehicles. Offered in sizes 15 x 6.0, 16 x 6.5 and 17 x 7.0 which are compatible with owners choosing to retain the original equipment tyre. Rimfire offers across it's range of sizes, a broad choice of 4 lug and 5 lug fitment applications to suit many popular and current small vehicle models.